Polyurea coatings are your best bet when it comes to protecting industrial equipment, storage tanks, pipes and flooring. At iFoam, LLC we apply it properly and at a great price too. Need a protective coating for your tanks, pipes or walkways? We can do the job quickly and professionally. Call: (334) 380-9550 today. This non-toxic, fast drying elastomeric coating strongly adheres to just about any surface and will protect it for a very long time. In Alabama, finding an affordable Polyurea Coatings Contractor can be like searching for a needle in a haystack. 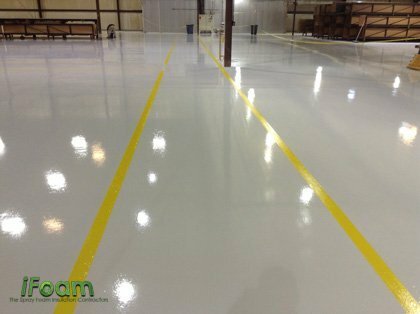 There are more than a handful of professionals who can properly apply this industrial protective coating, but most are very expensive. We keep our prices lower than most while still keeping our quality standards very high. Experience plays a big role in your decision too. Your equipment, storage tanks and facility is much too important to allow some newcomer experiment with applying the right coating. Only a trained and seasoned Polyurea application specialist should be hired. 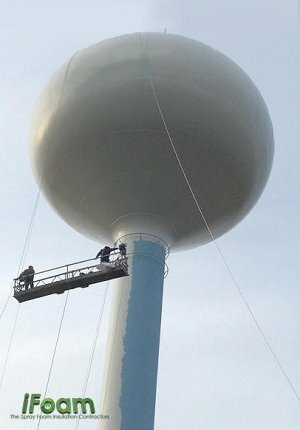 Polyurea coatings are defined as a specific type of elastomer that is conceived by a chemical reaction between two components consisting of an isocyanate and a resin. The end result is monolithic, flexible and extremely tough industrial grade coating that can conform to any shape and adhere to nearly any surface. Where Can Polyurea Be Installed? Because this is a rapidly curing product and contains no VOC emissions, a seamless Polyurea coating can be installed quickly and with little to no interruption in your daily operations. The benefits of industrial Polyurea coatings are many. For instance, it has the ability to be very resistant to abrasion, impacts, harsh chemicals and temperature fluctuations. Add to that being eco friendly with no VOC’s. Another set of benefits include the fact that it can be applied to nearly any material including: concrete, PVC, metal, fiberglass, wood and even glass. 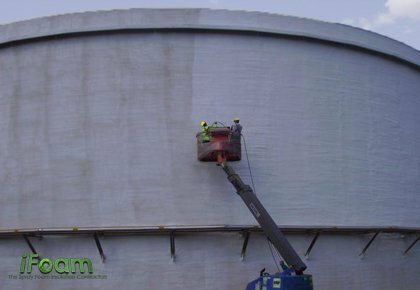 We specialize in Polyurea coatings for protecting storage tanks, pipelines, industrial flooring and walls.